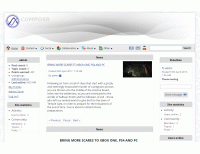 Themes provide a new look to Composr. Themes are a kind of addon. You can actually install the themes listed here directly from inside Composr. Go to Admin Zone > Structure > Addons. Follow the "Import non-bundled addon(s)" link. These are themes that have been released for this version of Composr. Themes that have been released for earlier versions would need upgrading – you may wish to browse through them also, and contact the author if you\'d like them upgraded. A basic theme with whites and greys. CSS edits only. Built under composr 10.0.4, so may not appear correctly on earlier versions of composr. 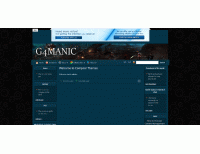 This theme has been highly customised for g4manic. I have decided to make it available to our registered members. Top bar containing rss, newsletter and twitter links. Small tweaks on the main article page. 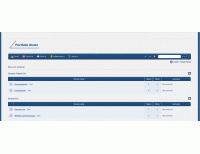 Small tweaks over entire cms. 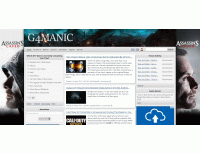 G4-Cloud, a very light and bright theme for Composr based website. Update(20-April-2017): Fixed the menu colour issue reported for the mobile version. G4-Cloud, basic brown theme for Composr based website. G4-Midnight, a dark theme for Composr based website. Portfolio theme for Composr based business, personal, corporate and any other websites. Update(19-April-2017): The reported alignment issue is now fixed. I request to those who have already downloaded theme, to uninstall the previous version and install the latest version aownload the latest version and use. These banners are from the members of the Composr community, bought with points. Did you know? 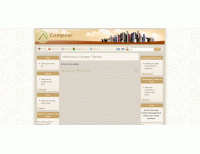 Composr is the only modern feature-filled CMS that isn't heavily controlled by bankers / venture capitalists.